Specifically designed for anyone wishing to purchase a motor boat or sailing vessel. We will inspect the vessel to the highest degree of detail, taking it through 25 to 35 core non destructive tests as listed below dependant upon the type of vessel. Click for more information on the survey's scope. Insurance Companies require a Survey to put a vessel on risk and susbsequently every five years if the vessel is over 20 years old. This survey will meet this purpose providing a condition report for the insurer that shows the overall safety and condition of the vessel. 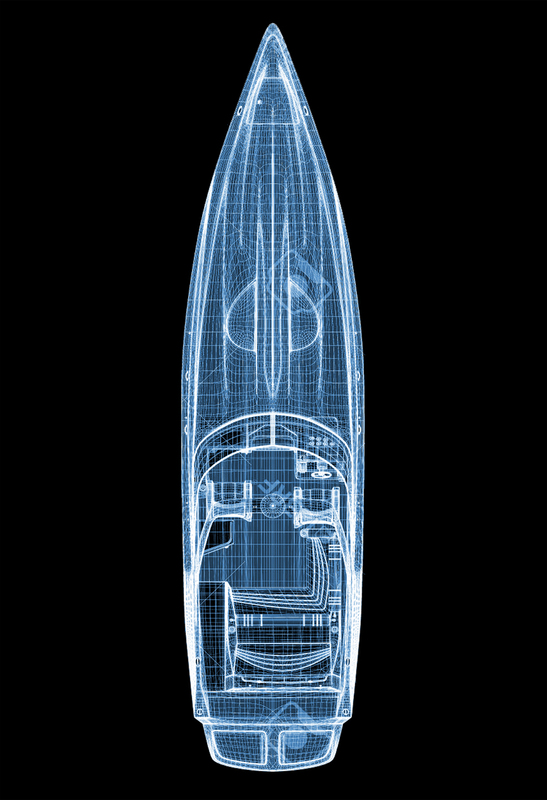 There are 25 -35 core non destructive tests, dependent upon the type of vessel and materials used in its construction. Click for more information. Surveys that provide the owner and insurer of a steel vessels with a guage to the thickness of plating on the vessels hull. A 250 - 350 point thickness measurement in different areas of the hull gives the plate thickness of the vessel indicating the structural integrity of a steel vessel. Measurements are taken using a Cygnus 2 (MkIII) instrument. Cygnus are a world leader in this type of instrument. Used for registering a vessel with Lloyds UK, a tonnage measurement can only be authorised by a Governing Body. They give an accurate measurement of the vessel and are frequently required by finance companies if a vessel is subject to a marine mortgage. 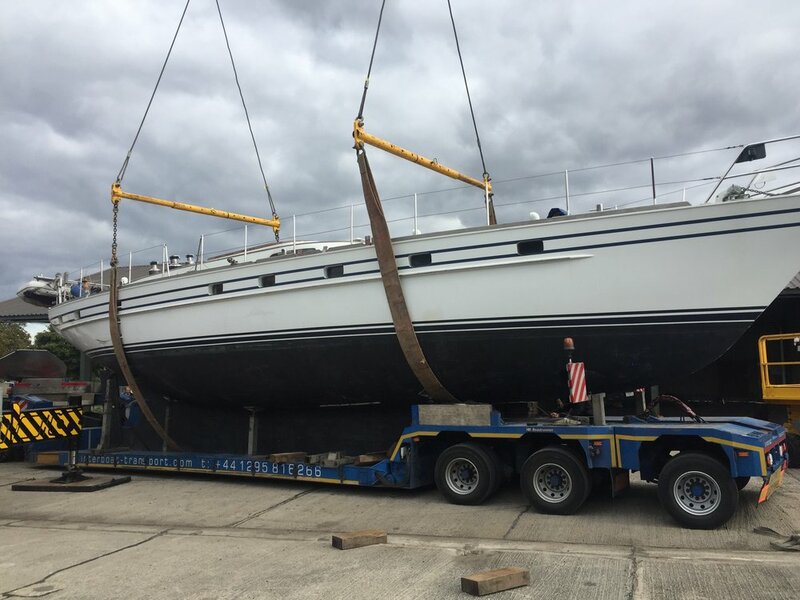 RB Yacht Surveys is certified to carry out Tonnage Measurement for the UK, Cayman Islands, Isle of Man and Channel Islands through membership of the YDSA. Please call 07881 611157 to discuss your needs. Providing an accurate report of damage substained by storms, boat yards, other vessels or personal accidents. RB Yacht Surveys' damage reports can be authorised by the insurer or the owner and comprise a factual account of all damage sustained by the vessel, its integrity after an incident and what repairs are needed to restore it to prime condition. The scope will vary from minor injuries to the gelcoat through to complete write-off status. If your vessel has suffered accidental or malicious damage, please call 07881 611157 to discuss your requirements or make and appointment via this site. A service for owners (or insurers) seeking reassurance that authorised work is carried out to a satisfactory standard. The remit of RB Yacht Services can extend to full oversight of all works if a client is unable to make the time in a busy schedule of other commitments to oversee work directly. We authorise no payment to be made until work has been fully completed and quality checked. We have overseen repairs for insurance companies and owners all over Europe, ensuring work on the vessels was completed to a good standard. Please call 07881 611157 to discuss the scope of any project and the level of involvement required. Every system on board the vessel will be tested from the integrity of the hull to checking the helm seat supports. Engines would need to be seen running by a Marine Engineer. The survey report is followed by a list of 'Essential' and 'Non-Essential' recommendations, my conclusions and a valuation. In order to carry out a Pre-Purchase Survey, the vessel will need to be ashore or held in slings so that we can check the moisture content and the condition of the laminate on the hull. It must be noted that some systems on vessels cannot be checked whilst the vessel is on the hard. Most Insurance Companies require this type of survey before they will take on risk any new instruction. Therefore, if you want peace of mind and like to know exactly what you are buying before you commit to purchase, this survey is ideal for you and can subsequently be presented to your Insurance Company, avoiding any delay in getting out onto the water! The vessel needs to be either ashore on blocks or in slings so that the hull can be inspected. The systems on the vessel are checked for safety and working order and a full 15 to 20 page condition report is presented to you via email and a printed version is sent via first class post. Although tailored to the demands of insurers the survey does provide the owner with a comprehensive review of the condition of their investment allowing them to prioritise 'non-essential' works or improvements to suit their budget or calendar. Corrosion inevitably lessens the strength of all metal hulls, particularly steel. By employing 250 - 350 point thickness measurements in different areas of the hull, an ultrasonic survey will give readings of the plate thickness of a steel (or aluminium) vessel making an estimate of the hull's structural integrity possible. The vessel will need to be ashore or held in slings for the survey to be conducted effectively. The advanced testing equipment used applies the triple echo method, comparing three echoes at each point improves the accuracy of the gauge since the the readings are cross-checked as they are taken, eliminating distortions from aberrant readings caused by surface corrosion, especially on the, often inaccessible, inner face. The readings are scrupulously interpreted, which may result in further detailed testing across multiple points in any area where the primary readings indicate concern. As well as reporting the overall condition of the hull, the survey may recommend necessary areas for repair as well as measures to improve the condition of areas not yet in need of essential restoration as a precaution against future weakening. The survey will consider the diminution (erosion of thickness) and recommend repairs where plating has lost significant strength. Sovereign moisture meters which are specifically designed for marine use and includes a self-calibration facility. Both near surface and in depth readings can be compared and the moisture content displayed as a numerical readout from 1 – 100, or as % H2O WME (Wood Moisture Equivalent). Cygnus ultrasonic thickness gauges manufactured in the UK by the world leading innovators in measurement technologies. Founded in 1983 and based in Dorchester, Cygnus pioneered the digital multiple echo technique that has long since become the marine industry's standard for accurate measurement of material thickness. Cygnus have successfully developed multiple echo digital thickness gauges which measure metal thickness even through protective coatings in a reliable and repeatable way. The complete range is engineered to withstand the harshest environments while delivering accurate readings that help determine the condition of the subject hull. Flir thermal imaging cameras, form an image using infrared radiation, similar to a common camera that forms an image using visible light, these images allow us to create a visual representation of the integrity of various materials and spot any potential problems before they occur. RB Yacht Surveys provides surveys for tonnage and measurement, required for a Certificate of Tonnage and Measurement. This is one of the documents needed to register your vessel on Part 1 of the UK Ships Register. Part 1 Registration requires renewal every 5 years but does not require a further survey unless there are changes to the vessel (i.e: change of engine). To see more about Part 1 Registration and how to start your application with the UK Ship Register, see the government website. Whether injury to a boat is sustained by virtue of bad weather, incidents with other vessels or an operating failure in a yard, a damage report typically includes the reported circumstances of the damage, statements from owners, operators and witnesses, identification and description of the vessel and its condition as well as the damage incurred. Where appropriate, it will also include a damage appraisal, a review of estimates for reasonable repairs plus pre and post-loss valuations. If necessary, the survey will identify the need for and recommend third party specialists to evaluate the damage and help define suitable repairs in key areas. This outcome is more likely in the case of fire, complex mechanical failure, extensive damage to a hull or electrical/electronic systems. Commissioned by the insurer or owner the report focus on facts and an account of all damage sustained by the vessel. It has integrity and authority based on its independent perspective, recommending the repairs needed to restore the vessel to prime condition. Even severely storm damaged vessels can be recovered and repaired. Repairs and restorations are time consuming and cannot always be scheduled to coincide with the life-demands of otherwise busy owner. RB Yacht Surveys repair and refit management services can represent those without the time or ability to be more directly involved. These individually tailored packages can range from full day-to-day, task-to-task management of a project to a consulting role, checking work completed has been satisfactorily completed and reviewing progress on outstanding tasks. The selection of materials and suppliers can form one part of either type of oversight role and help an owner reconcile their aims and objectives with a budget. ensuring that payments are made on satisfactory completion of agreed milestones. Each project management package will be unique, specific to the vessel, the scope of the project and the owner's requirements. We are happy to discuss involvement on a partial or overall basis to help deliver the right outcome in the agreed timescale. 1963 Improbable 24. 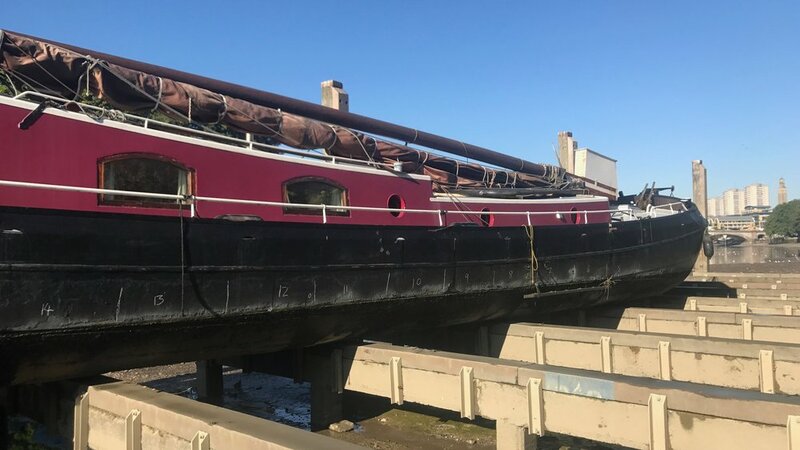 Seven months of intensive work by several specialist suppliers and craftsmen, co-ordinated end-to-end by RB Yacht Surveys, have saved Myhtical from long term dereliction, neglected in a corner of yard in a Wolverhampton boatyard after a former owner's enthusiasm waned.